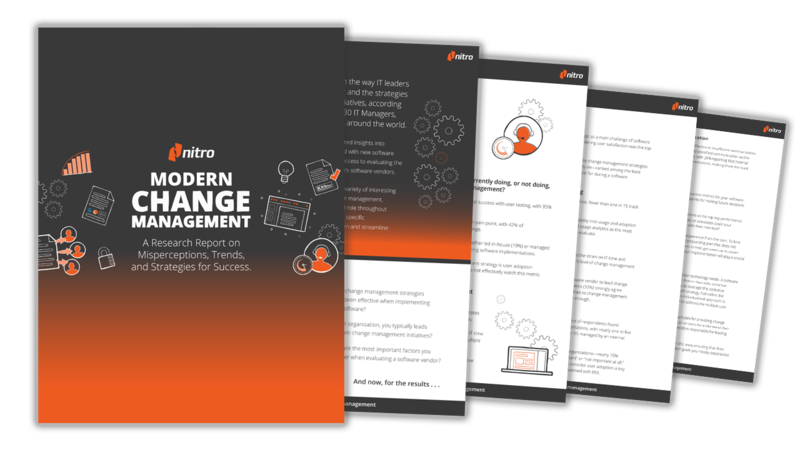 Nitro commissioned research among more than 330 global IT leaders to shed light on different change management models employed during new software implementations, ways success is measured, and views on the levels of change management support provided by today's software vendors. The research revealed significant misalignment on multiple levels. Download the report to learn more. The largest challenges associated with software implementations. How vendors are expected to participate in process improvement. Recommendations for effective change management tools and strategies.